The first step to take if you are considering options for investing in double glazing, is to take a look at the design of your home. What way are the windows facing, north, south, east or west? And, how big are they? 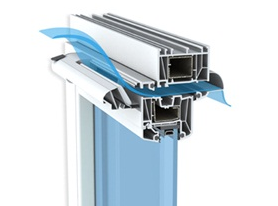 If you live in an area with a warm climate and have windows facing southwards, you must ideally fit windows with heavy glazing and a solar heat gain coefficient of 0.6 or more, therefore making good use of solar heat in cold months, but co-currently they must have an overall heat transfer coefficient of 0.35 or less, reducing heat transfer during the summer. Energy efficient choices of products in your home can save you around a third on your energy bill, with similar savings of greenhouse gas emissions, without sacrificing features, style or comfort.